Alvin J. Glotz, Jr., a resident of Baton Rouge, La., went to be with the Lord on Wednesday, October 31, 2018, at the age of 78. 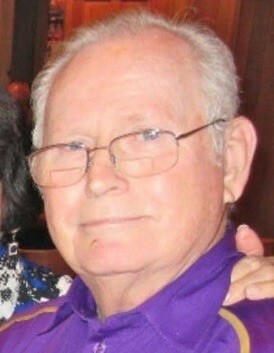 He was a devoted and loyal LSU Tiger fan, never missing a home game in 64 years. He was employed with Ethyl Corp for 21 years and he was employed with Exxon/BRPO for 15 years as a 1st Line Supervisor. Survived by his wife of 56 years, Brenda Langlois Glotz; his 3 daughters, Tina Guillot, Dina Klein, Donna Blough and husband Michael; his son, Shane Glotz and wife Kim; his 9 grandchildren, Brandi Blount, Jennifer Gillespie and husband Justin, Rickey Craig, Destin Blough and wife Sarah, Derek Blough and wife Grace, Ashley Klein, Paige Guillot, Alyssa and Ava Glotz; and his 10 great-grandchildren, Bradley, Jason, Kaylee, Emma, Alexis, Rylee, Braiden, Easton, Ella, and Anna. Preceded in death by his parents, Alvin J. Glotz, Sr. and Eva Mae Pulliam Glotz; his brother, Walter Lee Glotz; his sister, Barbara Sharon LeBlanc; his son-in-law, Paul Gulliot; and his twin granddaughters, Brandi and Christi Glotz. Visitation will be at Resthaven Funeral Home, 11817 Jefferson Hwy, Baton Rouge, LA., on Saturday, November 3, 2018 from 12:00 pm until funeral services at 2:00 pm. Burial will follow at Resthaven Gardens of Memory. Pallbearers will be his grandsons, Destin and Derek Blough, Ricky Craig, Bradley Lentz, Jason Blount, and Justin Gillespie. In lieu of flowers please make donations to Sonlife Broadcasting Network. Special thanks to our special neighbor Wendy Lee.